Boet Stopson gets the new ISO 9001 certification ! 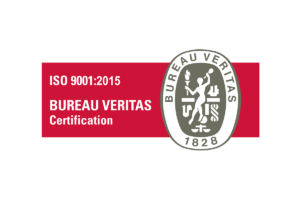 Boet Stopson has been ISO 9001 certified for more than 20 years & have just successfully passed the Bureau Veritas certification audit according to the new 2015 version. Boet Stopson have been engaged for many years in continuous inprovement processes to improve the satisfaction of our customers. This certification is the reward for the hard work of all employees.